This industrial facility is a 315,000-square foot tilt-up construction for distribution and warehousing. Designed with 41 truck dock bays, the facility includes 3,500-square foot of office space. 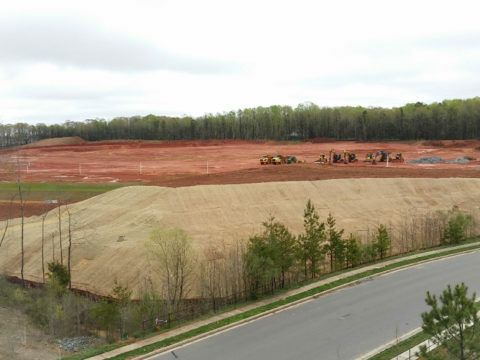 Project scope included 33 acres of site work with 265,000-square foot of paving.